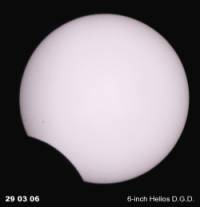 On 29th of March 2006 there was a total eclipse of the Sun. 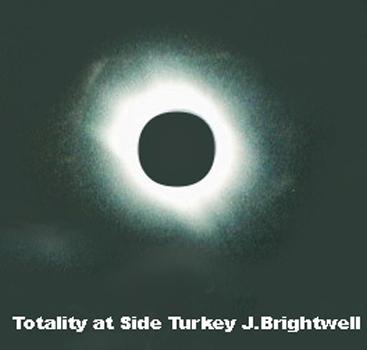 The track of totality crossed parts of northern Africa and southern Turkey. 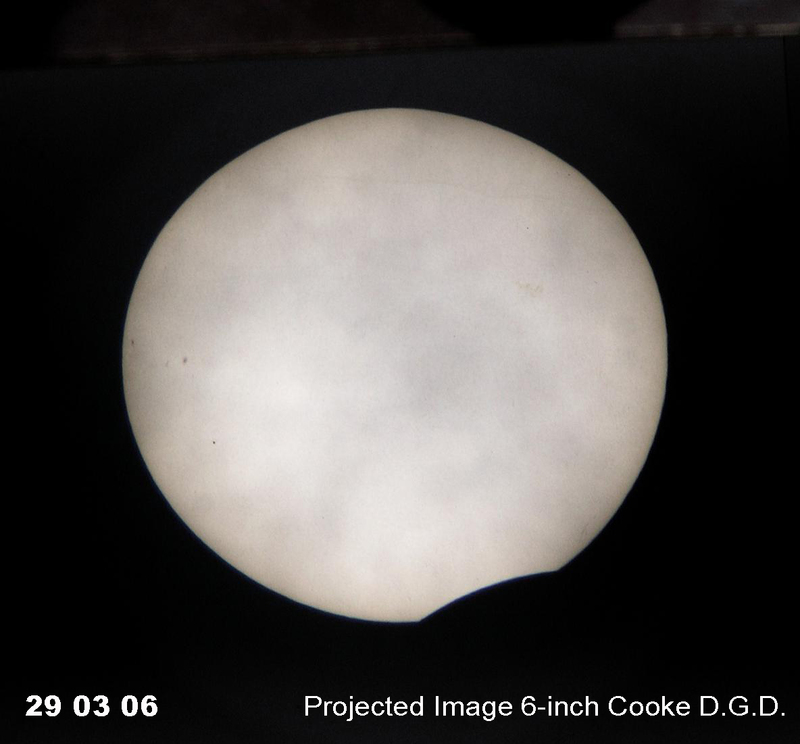 In London, the eclipse was partial, about one third of the Sun obscured. 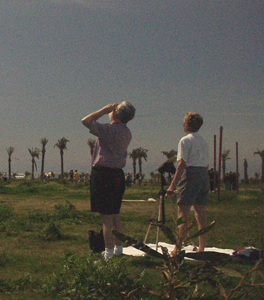 On the morning of the 29th, several members attended the Observatory, bringing an assortment of portable equipment with which to observe the eclipse. 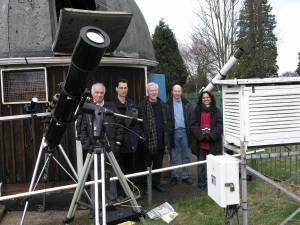 The 29th dawned brightly but by the time of first contact :09-45.1 UT (Greenwich), the skies were totally overcast. However, a few minutes later, a small clear patch allowed just a glimpse of the start of the eclipse. From then on we had to wait for the clouds to part to allow us brief tantalising views of the advancing Moon. 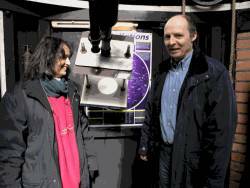 There was a small group of sunspots close to the Moon�s limb and the view through Brian Bond�s Coronado hydrogen alpha telescope revealed a number of short-lived prominences, adding greater interest to the event. The Astro. Sec. managed to take a few digital images through his 6-inch Helios refractor during a few clear moments. The classes of schoolchildren, who were due to come, failed to turn up, but about 40 or so members of the public attended, some with the organized Hampstead Walks. The eclipse ended at 11-22.3 UT (Greenwich). It was an interesting event spoiled once again by bad weather. We hope our colleagues who travelled to Turkey to witness totality, faired better.